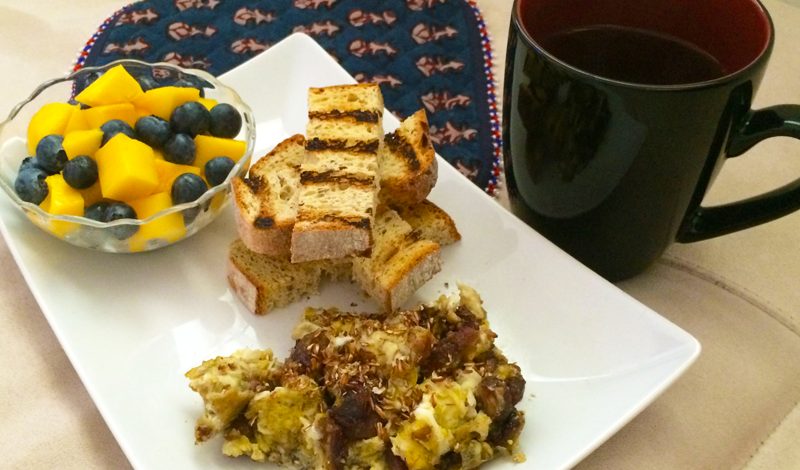 This morning, I was craving for a sweet breakfast and thought of a Persian traditional, eggs and dates. Of course, some fruits and a cup of aromatic rooibos tea doesn’t hurt either. This entry was posted in Breakfast, Food, Gluten Free, Life, Sweets, Uncategorized and tagged Breakfast, Eggs, Food, Gluten Free, Sweets, Tea. Bookmark the permalink.